The flowers of this orchid are very variable in colour - pink, reddish, white, cream and yellow are all recorded. Dactylorhiza romana grows to a maximum of 50cm but most plants are between 15 and 35cm tall. The plant has 3-9 narrow, pointed leaves which are unspotted. The inflorescence is lax when the flowers are fully open, and the flowers themselves vary in colour from yellow to magenta. The two colour forms are frequently found growing together and there are also intermediates. The distribution of the Roman Orchid is mainly in the central and eastern Mediterranean, but the true extent of its range is still unknown due to confusion with other similar-looking species. 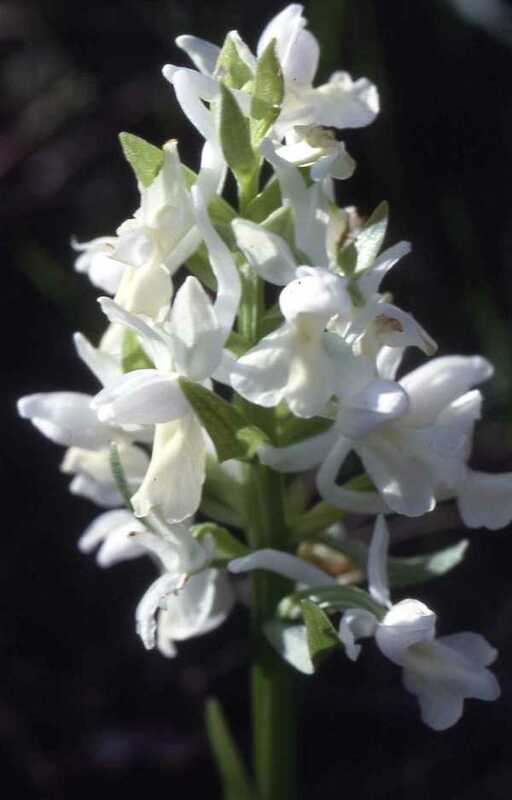 Roman Orchid has a preference for slightly acidic conditions, and it can most often be found in grassy areas that are populated with bushes, as well as in garrigue and in open woodland habitats. This orchid is tolerant of both partial shade and full sun. Dactylorhiza romana flowers can be seen from March to the end of April.